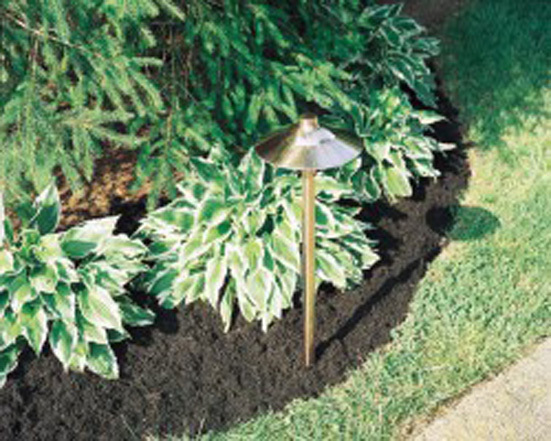 Our adjustable 6” path light will illuminate any pathway up to 13 feet long with a single fixture. 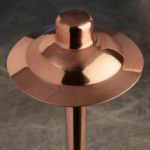 Constructed of copper, will patina with age to blend into your landscaping while lighting your guest path to your home. 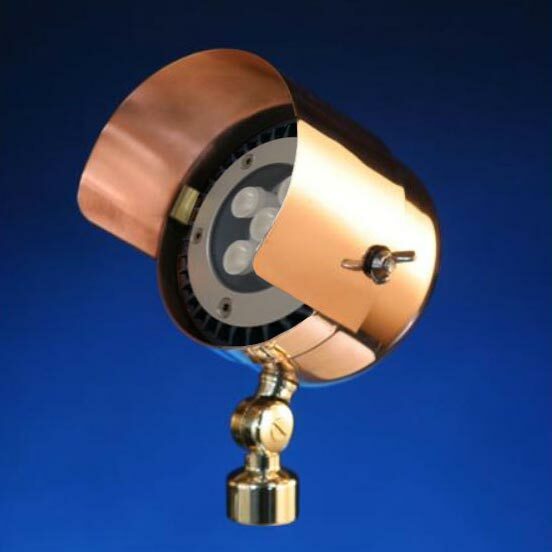 Comes with an adjustable head that will increase or decrease lighting coverage. 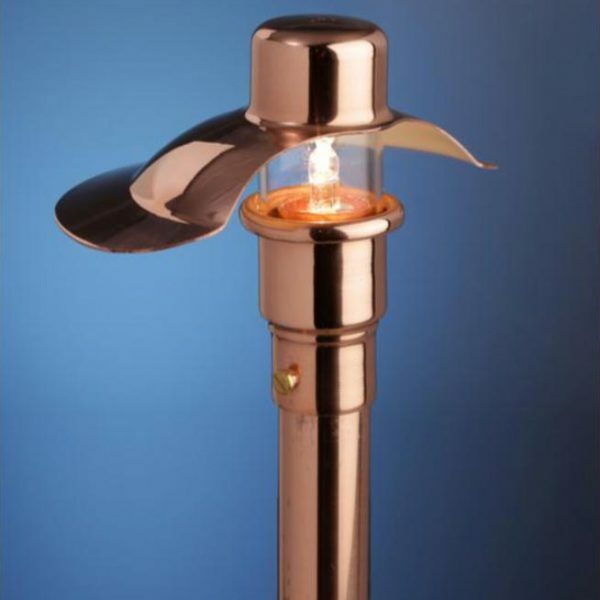 Our small adjustable 3” path light is great for lighting small areas while casting a low spread while blending into its surroundings. 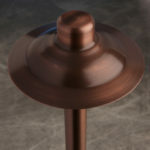 Constructed of copper, will patina with age to blend into your landscaping while lighting your guest path to your home. 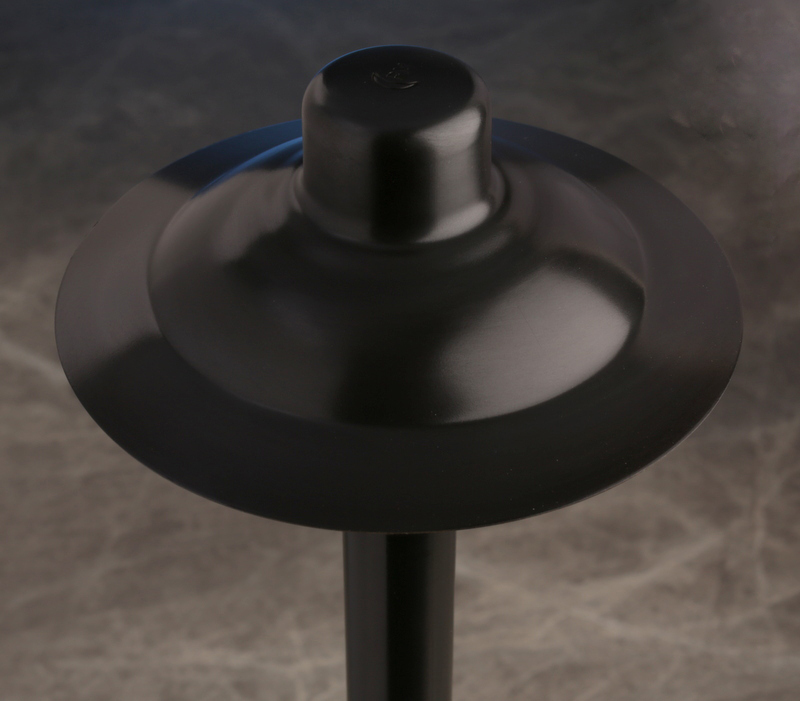 Comes with an adjustable head that will increase or decrease light coverage. 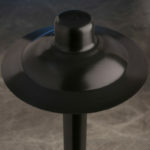 Our adjustable 7” path light will illuminate any pathway up to twenty feet long with a single fixture. 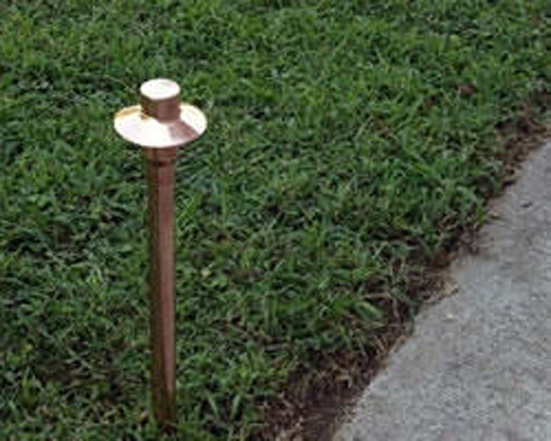 Constructed of copper, will patina with age to blend into your landscaping while lighting your guest path to your home. 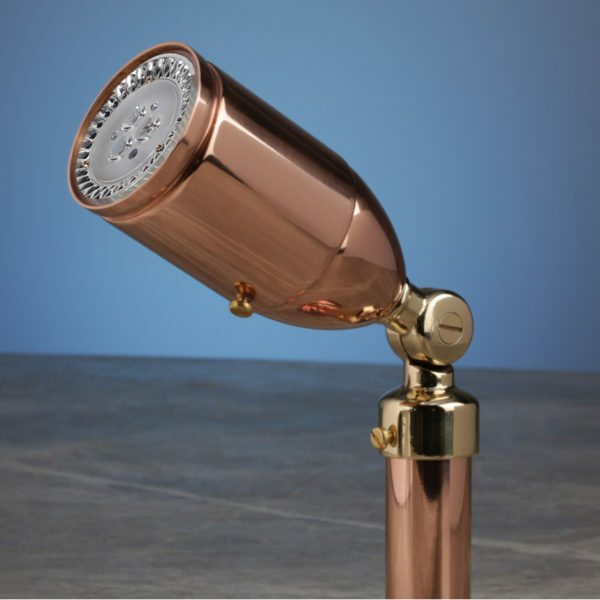 Comes with an adjustable head that will increase or decrease lighting coverage. 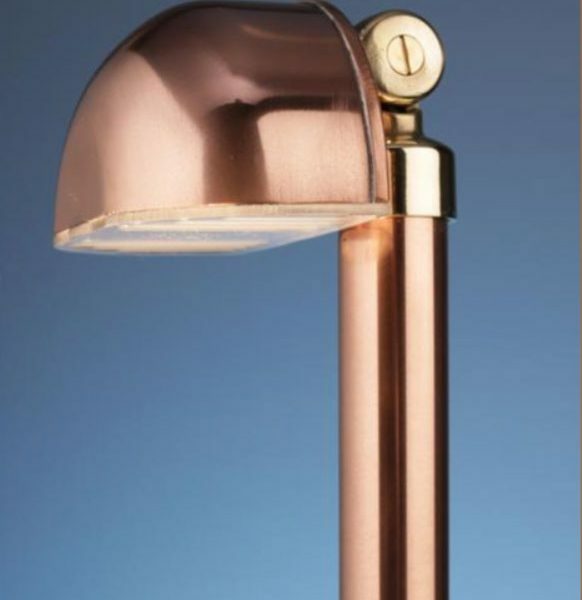 Our slim design up light is used as where you would normally use large fixtures. 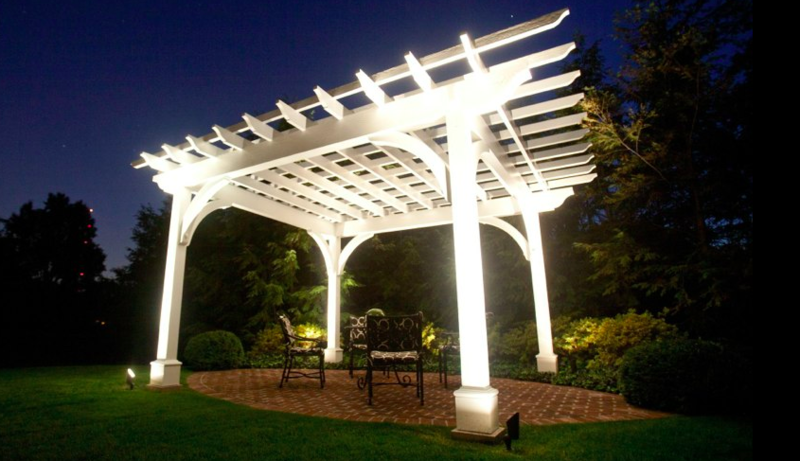 The slim design allows landscape friendly installations in multiple landscape designs. 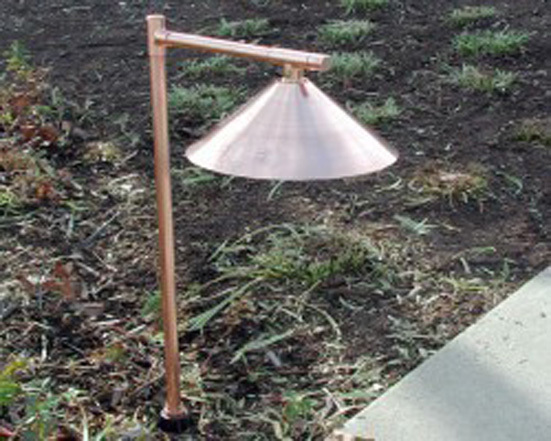 Available in different heights when placed in grasses or bushes. 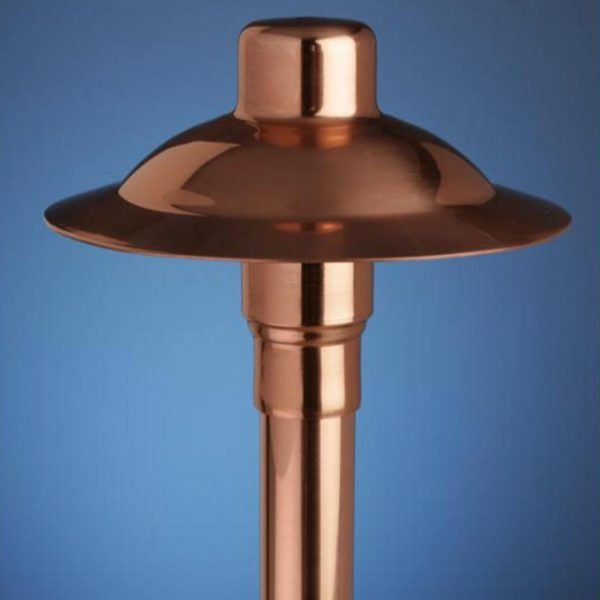 Heat sink is designed to melt snow. The classic cone light brings style and personality, offering broad, warm washes of light for pathways and patios. 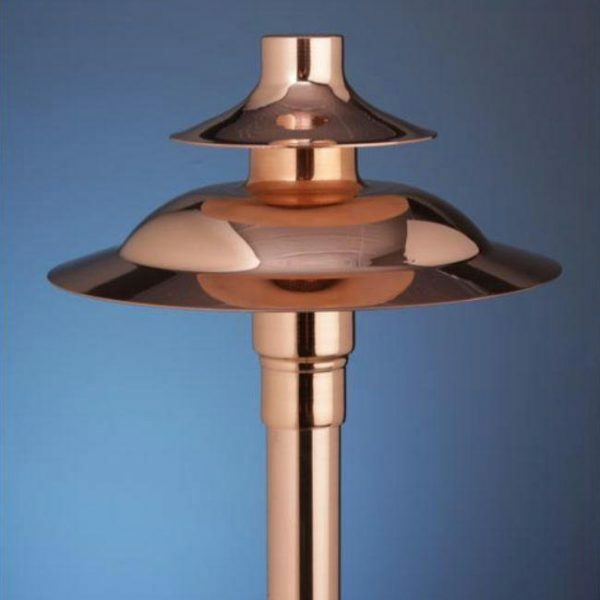 If illumination and style are need then this is the fixture you will enjoy for years. 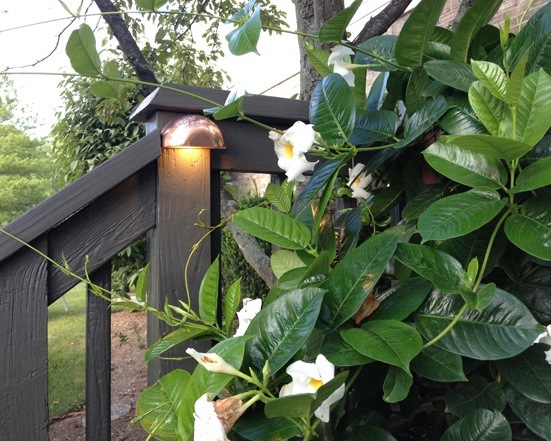 Designed in a half moon shape, this deck & retaining wall light casts a rich ambient light creating the widest indirect wash from its position upon deck posts and retaining walls. 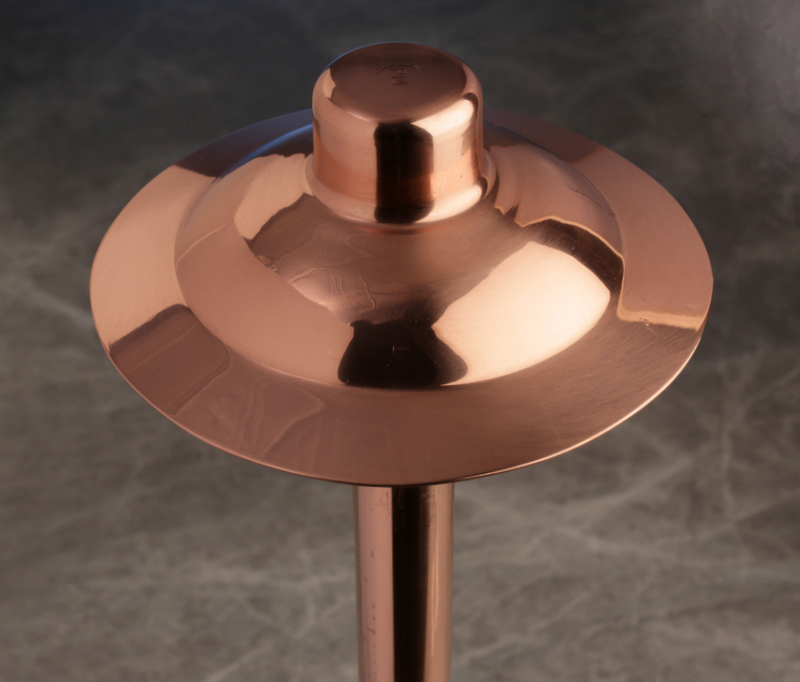 Constructed of copper will patina with age to add grace to any setting. 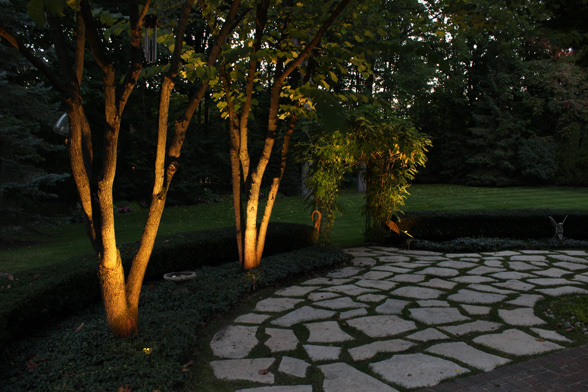 Our Half Moon Path Light Performs two functions at the same time, in illuminating your pathway while up lighting a tree, wall or planting bed. 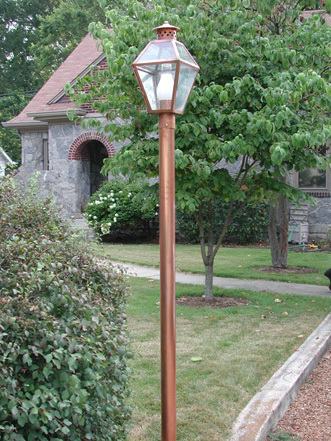 Constructed of copper which will patina with age to blend into your landscaping. 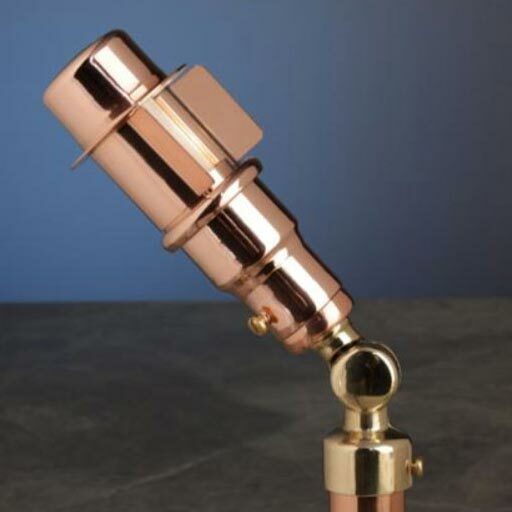 This is a unique fixture. 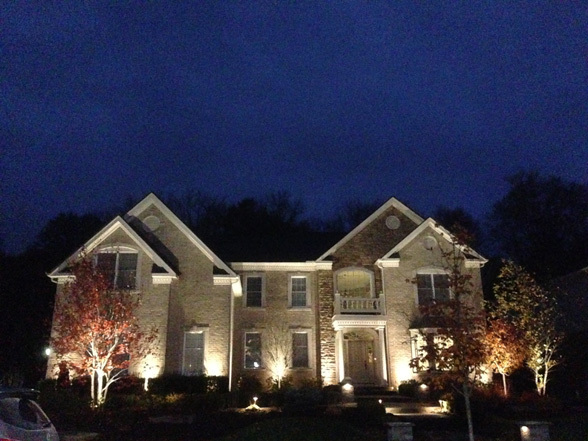 Midwest Lightscapes came in and put in a totally new custom lighting system for me. 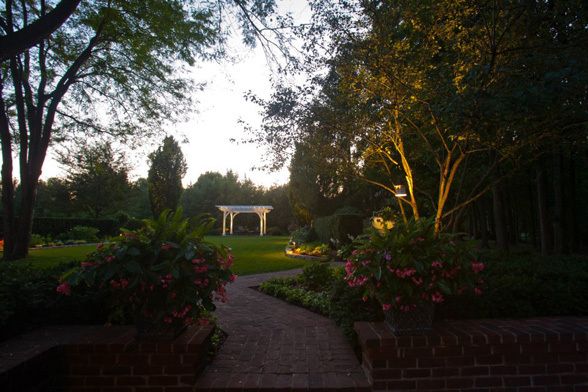 They did quality work and I am very pleased. 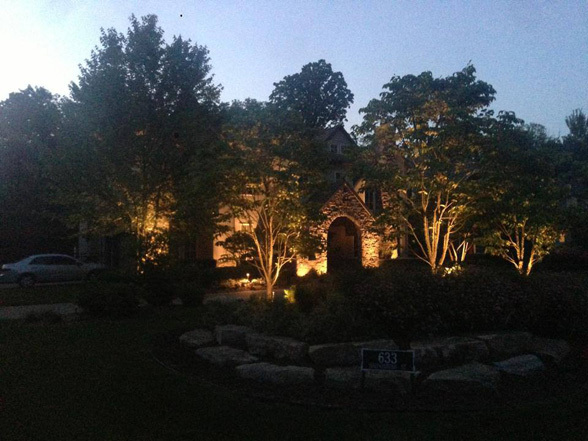 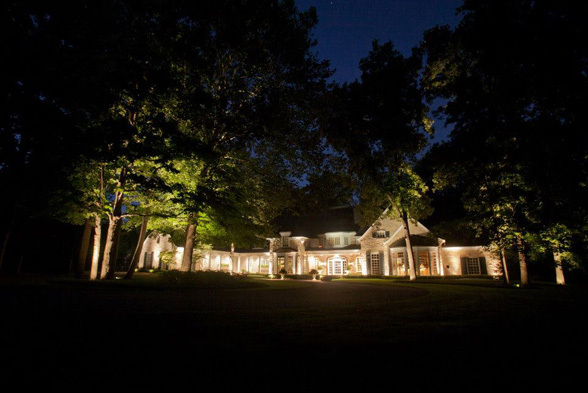 Let us help design and select the most illuminating outdoor lighting for your property.